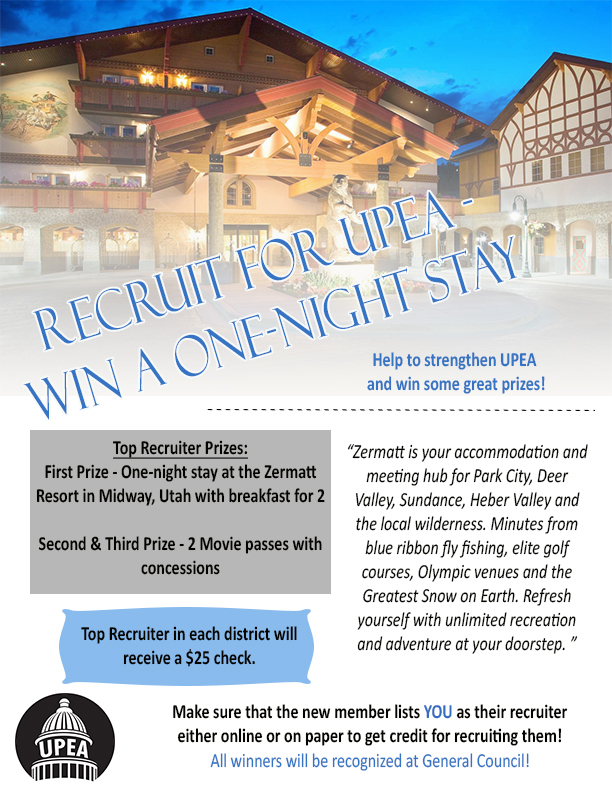 UPEA is proud to participate in the Public Employee Salute Program. 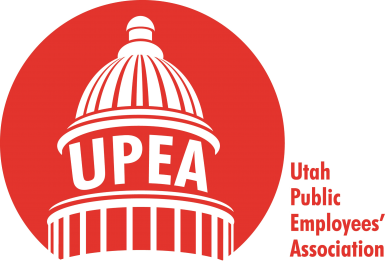 The idea for the program began in 2009, when a past UPEA executive director noticed that KSL Radio had a special segment to recognize Utah teachers. The segment is commonly known as the “Teacher Feature.” However, there was no feature recognizing Utah’s public employees. The following year, the UPEA and MACU Public Employee Salute program began. Please consider nominating a co-worker for the Public Employee Salute. Utah taxpayers need to know about the people who do great things behind the scenes. You can let them know by nominating an outstanding public employee. Along with public recognition, winners are honored at a semi-annual Public Employee Salute Luncheon. Mark Austin is the state payroll coordinator. He has worked for the state for25 years. Throughout his career, Mark has done many remarkable things. He has upgraded the entire payroll system to today’s system. In order to successfully complete this project, Mark had to obtain approval from the administration and also request funding. Mark was also tasked with making sure that the new upgrades included adding employee portals to the payroll system, along with travel time and attendance changes. Mark also established a remote location to complete payroll in the case of a natural disaster, as well as created an additional capability for visually impaired employees to access the employee portal. John Moody is a project manager for the Utah State Tax Commission in the Division of Motor Vehicles (DMV). While he has only worked for the division for the past eight years, John has quickly become an expert in this field. As a project manager, John oversees testing of the DMV’s new implementations and updates. He has to be extremely patient and teach new skills to employees testing out the new protocols. Along with making sure employees understand the changes being implemented, John must keep in constant contact with taxpayer groups to ensure that any implementation of new changes happens smoothly. For these reasons and many, more, John has become a Taxpayer Access Point (TAP; the state’s tax online filing and payment portal) expert for all different types of taxes and is the “go-to” person for all things TAP. Jeff Oaks is the bureau manager of food protection for the Salt Lake County Health Department. Jeff has worked for Salt Lake County for the past 18 years. As the bureau manager of food protection, Jeff oversees food permits for temporary events, child-care facilities, permanent facilities, and food trucks. Jeff and his team are responsible for making sure that the food being served to Salt Lake County residents is properly prepared in kitchens that are up to code. This may seem as a daunting task for some, but Jeff sees it as a challenge. To his coworkers, Jeff is an excellent example of what it means to be a public employee. James Piper is a training manager for the Division of Child and Family Services (DCFS). He has worked for the state for the past 25 years. In his position as a training manager, James is responsible for planning and organizing training programs for DCFS employees. James also is responsible for ensuring that the division fulfills all of its training objectives and more importantly, complies with any state or federal laws. One important federal law that DCFS must be compliant with is the Indian Child and Welfare Act of 1978. The law’s intent is to preserve and strengthen Indian families and Indian culture.” Each year the state holds a conference that highlights the law’s intent, and James has helped lead it. Multiple agencies from across the nation attend this conference, creating the perfect venue for James to showcase Utah’s state agencies. As a result of James’ efforts with Indian and Child Welfare Act (ICWA) conference, the White House invited Utah’s ICWA representatives to Washington, D.C.
Linda Bright is a records specialist for the Division of Child and Family Services (DCFS) for the Northern Region. Linda has worked for the state for more than 20 years. As a records specialist, Linda makes sure that the Bountiful, Clearfield, and Ogden offices all comply with various federal and state laws. She is also in charge of the numerous Government Records Access and Management Act (GRAMA) requests that come to those three offices. To be in this specialized position, Linda completed years of training to become familiar with different records, laws, and confidentiality issues that may be taken for granted. Linda is a vital part of DCFS and we applaud her for her dedication to the state. Simon Bolivar is a child care licensing administrator for the Department of Health. He has worked for the state for the past nine years. As the administrator for Utah’s Child Care Licensing Program, Simon supports Utah’s working parents by guaranteeing regulated child care programs. Always striving to help improve communication between employees, child care providers and parents, Simon thinks outside the box. Most recently, Simon made some improvements to a computer system that is used by employees, child-care providers and parents, making is easier to use and accessible to those in need. Simon asked for input from those who use the computer program as well as input from other child-care agencies in other states. Trenton Grandy is a senior forensic scientist for the Department of Public Services, Bureau of Forensic Services. Trenton has worked as a public servant since 1991. Trenton began his career at the Department of Corrections, then worked for the Salt Lake City Police Department before arriving at the Bureau of Forensic Services in 1999. One of Trenton’s area of expertise is fingerprints. Specifically, Trenton is an expert in latent print analysis. He has logged in more than 1,500 fingerprint cases. Many of these cases involve a level of expertise that many analysts do not have, especially when it comes to recovering a fingerprint from bloodied evidence. Along with being a fingerprint expert, Trenton is a highly regarded expert in footwear and tire-tread impressions. Trenton has been an expert witness in 200 different cases involving footwear and tire treads, and his testimony has led to convictions in many of these cases. is also certified in each of these areas by the International Association for Identification (IAI). The IAI is a highly regarded association in the forensic science field; only 98 people in the world are certified. Trenton has also taught more than 60 courses for the IAI’s local and regional training sessions. He has also trained all of the bureau’s current fingerprint analysts, as well as the Salt Lake City Police Department’s footwear and tire tread analyst. In his spare time, Trenton volunteers with his church group along with the Boy Scouts and Girl Scouts of America. Brenda Ralls is an epidemiologist/evaluator for the Environment, Policy & Improvement Clinical Care (EPICC) Program at the Utah Department of Health. Brenda has worked for the state for the past 17 years. The EPICC program was created in July 2013 by combining four different Bureau of Health Promotion programs. These include three well-established programs (Heart Disease and Stroke Prevention Program (HDSPP); Diabetes Prevention and Control Program (DCDP); Physical Activity, Nutrition and Obesity (PANO) and a new program (School Health Program). This new venture was fully funded through the Centers for Disease Control. As an epidemiologist/evaluator, Brenda’s responsibilities include collecting and monitoring health data, analyzing the data, and informing stakeholders, as well as the public, about the program’s overall effectiveness. Brenda’s dedication and investment in the EPICC program goes far beyond the typical 40-hour work week. In order for the EPICC program to reach the different ethnic populations throughout Utah, Brenda collaborates with different organizations and individuals to develop programs designed to help with diabetes management and heart-health, among other conditions. Brenda is seen as an amazing mentor to those who work with her. When last-minute data requests by the media are received by the program’s office, Brenda is the first person to begin working on the request, even if it takes her a couple of hours to compile the data. Outside of her work with the EPICC program, Brenda sits on and/or assists with various community health organization boards, including several for the health department. These include the National Tongan American Society, the Coalition for a Healthier Community-Utah Women and Girls, and the Community Faces of Utah. Brenda’s humbleness, positivity, and dedication to the community make her a model public employee. Tami Jones is a senior assistant caseworker for the Department of Child and Family Services (DCFS). In her position, Tami wears many different hats depending on the situation. One moment she may be assisting directly with new DCFS clients, while at another moment she may be helping a team member with case documentation. Tami has many different responsibilities, but she treats each one with the same dedication, always going above and beyond. Last year a mother who Tami knew from child and family meetings came to the DCFS office fearing for her own safety. The DCFS case worker assigned to her was not in the office. In her absence, Tami helped the distraught mother find a safe place to stay. She also found her clothing and personal items, as well as a ride to the shelter. Blake Foard is an eligibility specialist II for the Department of Workforce Services (DWS). Blake has worked for the state for the past three years. As an eligibility specialist, Blake has a variety of responsibilities, from verifying eligibility of customers using DWS services to mentoring fellow DWS employees. Blake goes above and beyond when working with new customers. Whether it be face to face or on the phone, Blake makes sure that each customer is given outstanding customer service. His accomplishments do not go unnoticed by his supervisors, who frequently ask Blake to mentor newly hired employees. From time to time, he is appointed “in charge” when his supervisor is out of the office. Blake’s accomplishments don’t end at work. In his spare time he volunteers with the American Foundation for Suicide Prevention (AFSP), Utah Chapter. He is also a full-time student. Sonja Kingery is a paralegal for the Salt Lake County District Attorney’s Office. Sonja has worked for Salt Lake County for the past 20 plus years. As a paralegal, Sonja must be professional and prompt when working with law enforcement, fellow co-workers, and the public. Efficiency in her job is Sonja’s priority and allows her to provide timely resolutions to cases that are important to the victims and the public. Sonja’s efficiency is also beneficial to law enforcement officers who are working cases. Sonja’s devotion to her job extends to organizing training about domestic violence crimes for the office. Cap. Gary Larsen is a captain at the Central Utah Correctional Facility in Gunnison. He has worked for the state for more than27 years. Currently, Gary supervises the Elm Housing Unit in the Boulder Complex. The Elm Housing Unit is quite unique; the population it houses includes newly incarcerated inmates and inmates who are in lock-down situations. Over the years, Gary has held numerous positions within the prison, including officer, correctional facilitative specialist and programming lieutenant, and housing captain. In each of these positions, Gary helped develop initiatives for the prison. One of these initiatives was the HOPE Substance Abuse Treatment Unit, a flagship program that still thrives today. Gary also helped develop a field training manual for all newly promoted correctional specialists. It’s no wonder that current employees, when faced with a challenging situation, ask themselves, “What would Gary do?” Outside of work, Gary dedicates his time to his church and the Boy Scouts of America.